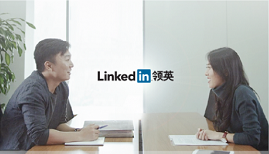 In an effort to connect more professionals in China to professionals all over the world, LinkedIn is launching a new version of the site in Simplified Chinese. LinkedIn announced yesterday that it is expanding its presence in China with a new simplified version of the site, and a joint venture with Sequoia China and CBS. The goal of the site is to connect Chinese professionals with the rest of the global LinkedIn community. The LinkedIn English site has been available in China for more than a decade and according to the blog, members in China work at more than 80,000 multinational companies. The blog also pointed out several examples of members whose eyes were opened to new possibilities in the global job market as a result of LinkedIn. LinkedIn still considers itself in a startup phase in China and this new Simplified Chinese version of the site will enable professionals in China to communicate in their native language. Users will also be able to import their Weibo contacts and integrate their WeChat accounts as well. However, since the site is still in the relatively early stages of development, some features, such as “Groups,” still aren’t available. According to LinkedIn CEO Jeff Weiner, the decision to expand into China was not an easy one. “As a condition for operating in the country, the government of China imposes censorship requirements on Internet platforms. LinkedIn strongly supports freedom of expression and fundamentally disagrees with government censorship,” he said in a written statement. In the end, the company decided it wanted to offer Chinese professionals the opportunity to connect with other professionals around the world. “[We] also believe that LinkedIn’s absence in China would deny Chinese professionals a means to connect with others on our global platform, thereby limiting the ability of individual Chinese citizens to pursue and realize the economic opportunities, dreams and rights most important to them,” he wrote.